Baras, in Rizal province, is a simple little place only about a one hour drive from Quezon City. 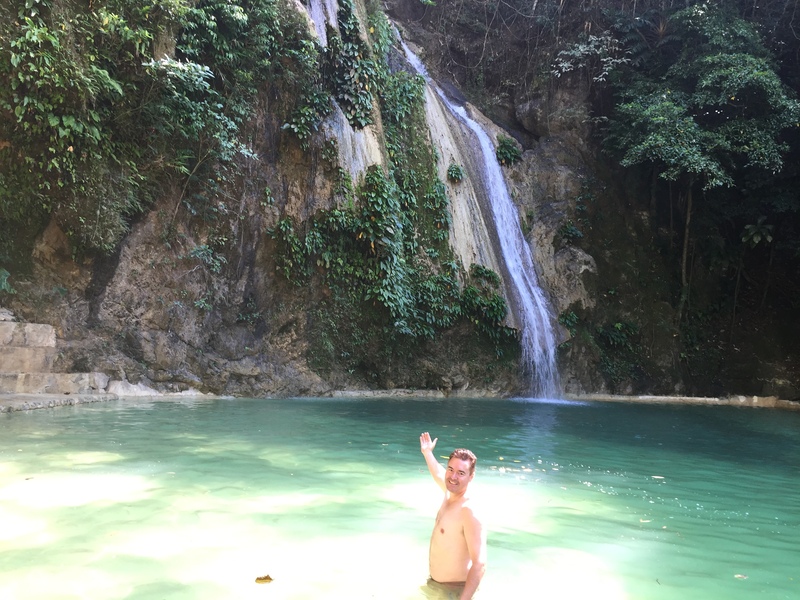 Here in Baras is where you will find Palo Alto Falls. 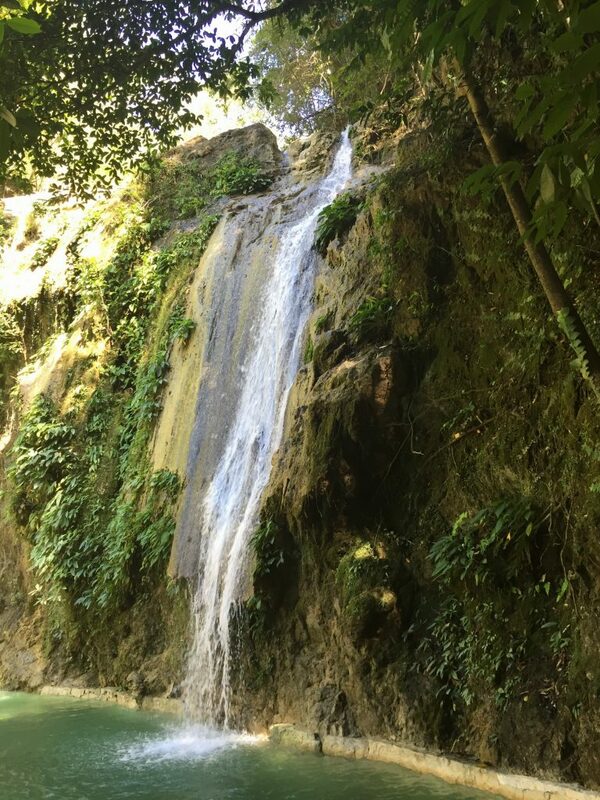 Palo Alto Falls are actually located in the Palo Alto Leisure and Residential Estates. This is a 200 hectare prime residential and commercial estate. From the parking area, there are 249 concrete steps to get to the actual foot of Palo Alto Falls. The falls are about 300 metres up from the parking area. However, don’t be alarmed as the path is fully concreted/paved and only takes about 10-15 minutes. Along the way, you’ll walk through thick forests split by a small stream, with water gently trickling down through the rocks. The grounds are beautifully landscaped and have been well thought out, making it a safe and easy place to visit and enjoy. The waterfall itself is a natural waterfall. As part of the landscaping effort, the rock pool into which the water cascades has been paved so that it’s easy to walk around in. This is great for bare feet! There are also a number of cabanas around the rock pool which make for a great way to chill out for the afternoon with a picnic and a few drinks with family and friends. 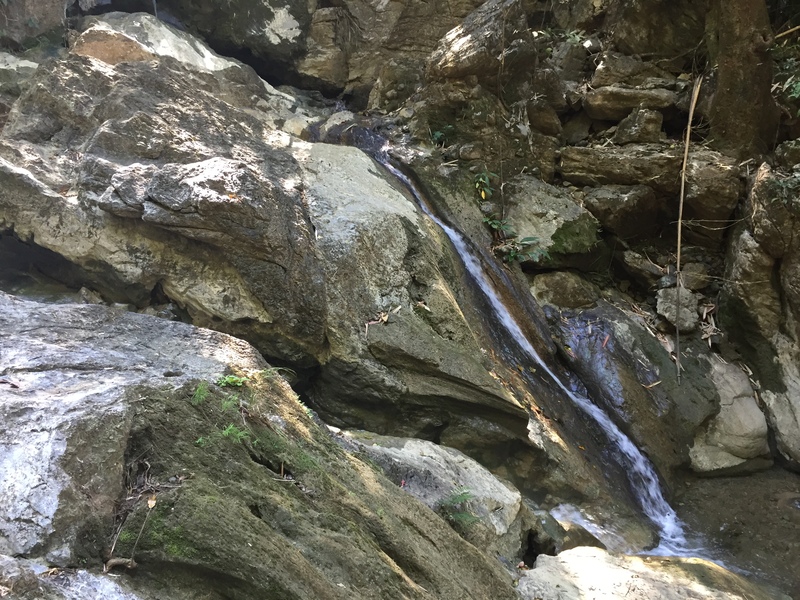 Palo Alto Falls is still a relatively new part of the Palo Alto Leisure and Residential Estates development, so it isn’t really a well-known place for locals, let alone foreigners. This is a real hidden gem that not many people know about. As a result, it doesn’t have that real touristy feel about it. In a way, you feel like you’re in a giant backyard! The best part about it is that its only just under a two-hour drive from Manila. Avoid going there during the summer months (March to May) as the stream that feeds Palo Alto Falls has a low volume of water, so the waterfall is barely a trickle. However, there is still fresh water to swim in if you fancy a dip in some clean fresh water. You can still pack a picnic and have a really chilled out day without too much of an effort. The peaceful stream that runs beside the walking track that takes you up to Palo Alto falls. Luckily the walking path to the main falls is paved with steps and is a fairly easy walk. One of the most unique waterfalls I have been to in the Philippines. The water from the falls cascades into the paved pool with the flow of the water being controlled downstream. You can walk all the way to the waterfall in relative comfort due to the paved floor of the pool. A very refreshing experience to be surrounded by nature in a relatively man-made and safe environment. Some of the cabanas around the rock pool where you can relax with a picnic. Here you can escape the hustle and bustle of Manila. Please click below to watch my video of this very unique waterfall near Manila. From Makati, Baras is about 45kms, or about a one hour and forty-five minutes’ drive heading out through Antipolo, along the Marcos Highway. There is a gate and big banner indicating the entrance to Palo Alto Falls and Leisure Estate on the right-hand side. Enter there and continue for a couple of minutes and on your left, you will see the car park and kiosk. From Makati, there are no buses running direct to Baras. However, jeepneys do run from Makati to Antipolo. 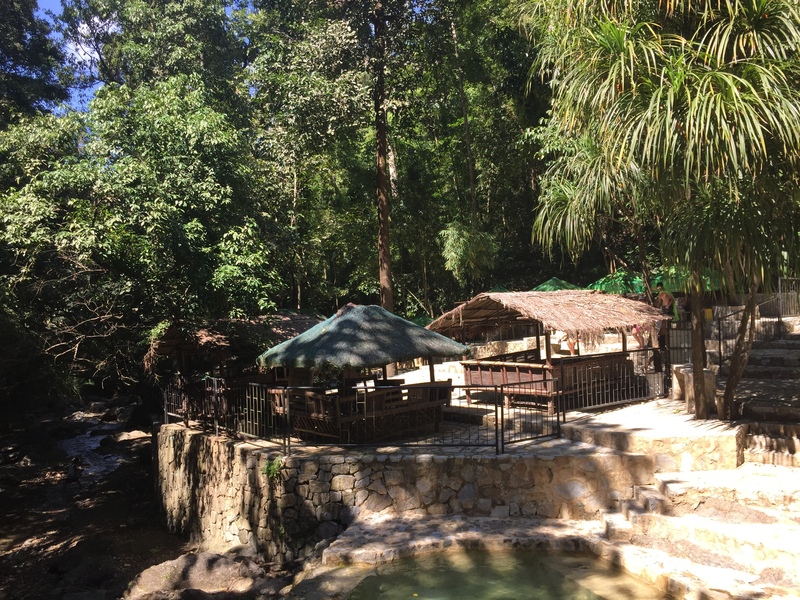 From Antipolo, there are jeepneys available that are bound for Tanay in Rizal, and pass by the gate of the Palo Alto Falls and Leisure Estate. This would probably take 2.5 hours and cost no more than P200. Baras isn’t a big name area and can be a little difficult to get to direct from Makati, even though it’s less than 50kms away. My tip would be to hire a vehicle for the day, for those that don’t have one (approx. P4-5,000). The road for the latter part of the journey is a very scenic windy road in the mountains, so it’s good to sit back, relax and take it all in. If there is a small group, cost can be split.